To provide opportunities for making decisions and assuming responsibilities. To prepare for the multiple roles of men and woman in today's society. To promote Family and Consumer Sciences occupations. 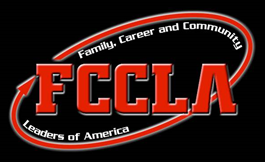 To become a member of FCCLA a student must have taken or currently be enrolled in a Family and Consumer Science Course. 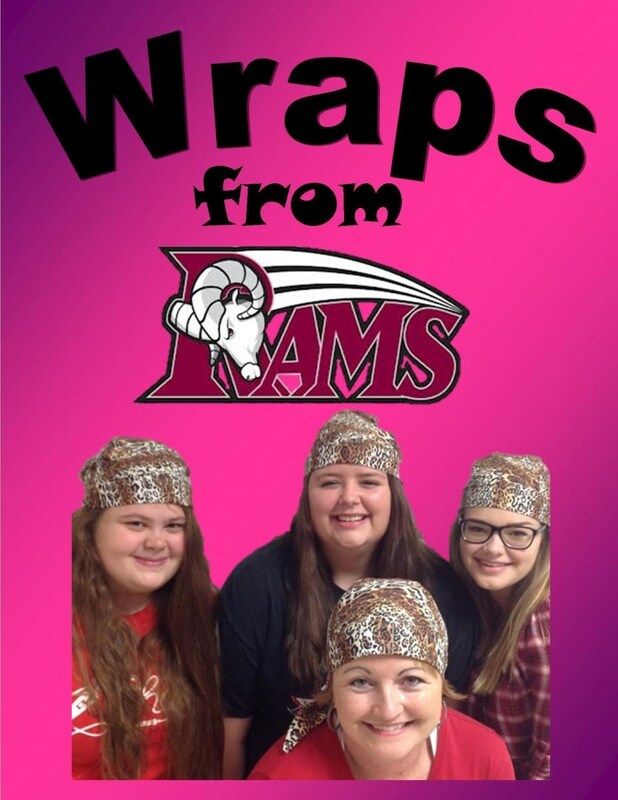 Photo Caption: Cheyenne Hutchison, Adelaide Hopkins, Allie Langley, and Stacey Clark, a teacher at Mineral Wells High School, can be seen posing in the picture with the flyer for "Wraps from Rams." The Mineral Wells FCCLA has been working on a Chapter Service Project called "Wraps from Rams". The FCCLA Chapter plans to sew 50-100 cotton head wraps and will then present it to the Radiation Center in Mineral Wells. The inspiration for the project sprouted from Stacey Clark, a teacher at Mineral Wells High School, being diagnosed with Breast Cancer. The young ladies put together their own pattern pieces and advanced quickly in sewing the wraps. They've chosen various cotton designs in hopes to provide a cooler headpiece for any of the cancer patients going through the loss of hair in their community.